Run by the Cova family for over 100 years and one of the original hotels of Wengen, the historic Hotel Falken is full of character and has an old-fashioned charm. Guests return year after year for the relaxed and informal atmosphere, as well as its quiet location with wonderful views. Great service in the hotel ,great skiing , fabulous scenery. 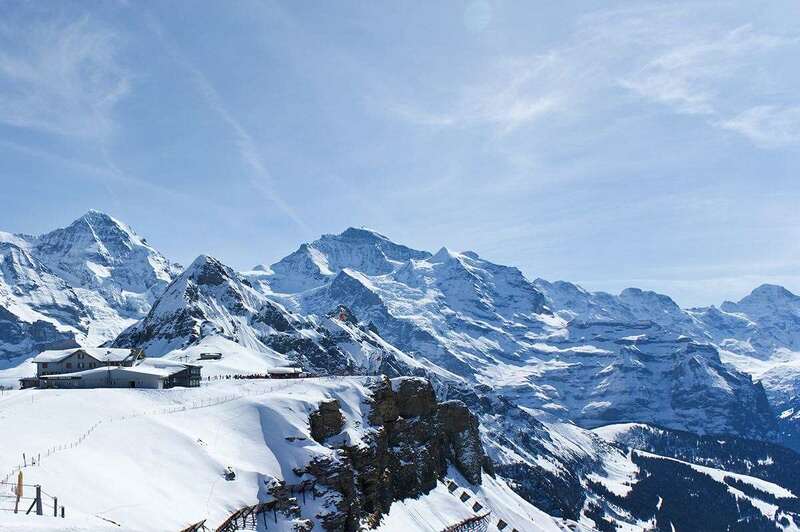 Our first time in the Jungfrau region for skiing and took a package including Swiss Air flights from London, train to Wengen and half board at the Falken. Everything worked like clockwork! No queues at LHR, comfortable flight and convenient train transfer from Zurich. A great room at the Falken with PLENTY OF SPACE, food very good and hotel well located for skiing out and back. Enjoyed the skiing especially Murren. Would definitely recommend this area and plan to return. Perhaps more expensive than Italy or Austria but worth the extra for a great holiday.